Our services including sprinkler repairs, system tune-ups and maintenance, installations, system re-routes, rain/freeze sensor additions, and much more! In addition to our unsurpassed standard of customer service excellence, at Superior Sprinkler Services we are also committed to utilizing only the finest sprinkler products. Including Rain Bird, Toro, Weathermatic, Hunter, and Irritrol, we are also happy to service all makes of sprinkler equipment. Are you in need of a sprinkler repair? If you have a broken sprinkler head, water gushing out on your lawn, or are having problems with your sprinkler timer then we can help! At Superior Sprinkler Services, we are the experts in sprinkler repair. With over a decade of expertise in the sprinkler repair industry, Superior Sprinkler Services is proud to have remained a leader in the sprinkler repair business. We are fully licensed irrigators who are ready to provide you with solutions to all of your Dallas sprinkler repair needs. 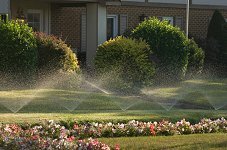 If you are in need of having your sprinkler system repaired, Superior Sprinkler Services is the sprinkler company for you. 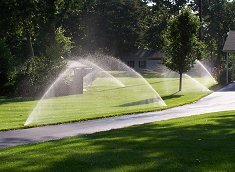 Our expert irrigation technicians are trained to troubleshoot the oldest to newest sprinkler systems in the industry. Even if your sprinkler system consists of old brass and cooper parts we can take care of your system. Our irrigation technicians can repair anything including broken heads, valves, manifolds, backflows, leaks, timers and rain sensors. Feel free to tour our website for more information. Including our customer education center, you can also view our frequently asked questions page and irrigation 101 pages to answer some of your questions you may have. If you have any questions or we can be of further assistance, please feel free to contact our office at 972-898-4073. For your convenience, you may also request services from this site. Thank you for your interest in Superior Sprinkler Services, we look forward to serving you in the near future! At Superior Sprinkler Services, your unconditional satisfaction is our foremost priority as we firmly believe you are not "just another customer" but quite the contrary, part of the Superior Sprinkler Services "Family!" © 2010-11 Superior Sprinkler Services. All rights reserved.